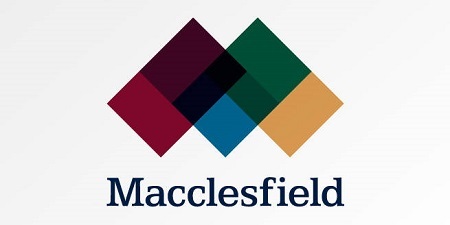 At its September 12th meeting the Cheshire East Cabinet reviewed and approved a Consultation Draft of a new five year Vision, Strategy and Action Plan for Macclesfield and also approved funding of £400K in addition to £1m already in place to enhance the public realm in the Town Centre. Cheshire East has now announced The Public Consultation period on this Plan, commencing on Wednesday 4th October and closing on Wednesday 15th November. A copy of the draft plan is attached and is also available to view at Macclesfield Library and at www.cheshireeast.gov.uk/consultations. The Plan taken forward after this consultation will set the framework for the development of our Town Centre not just for five years but for the long term and the MIM Board would encourage all members of the community to ensure that their voices are heard in this important consultation process. The Board also wishes to take the opportunity to consult the Community Interest Company’s members on the position it should take in the response it intends to make on behalf of its membership to the Consultation. With that in mind we will hold a Public Meeting at 7.30pm on Thursday 2nd November in the Assembly Rooms at Macclesfield Town Hall to encourage debate on the proposals being put forward for consultation by the Council. A full agenda for the meeting will follow but contributors to the discussion will include Peaks and Plains Housing Trust and Enterprising Macclesfield. We will also be inviting contributions from representatives of other important stakeholders and also plan to invite an independent facilitator to manage what we expect to be a lively and open debate from the floor. The meeting will be open to both MIM Members and non-members but Members’ views will dictate the Board’s final response to the Consultation. Further details including a more detailed agenda and a draft summary of the Board’s current position on key issues will be circulated to Members shortly. If you would like to attend and contribute to this important debate the please register at Eventbrite HERE.